Like Wild Wood? Click here to view the entire range. See the world, see the light. 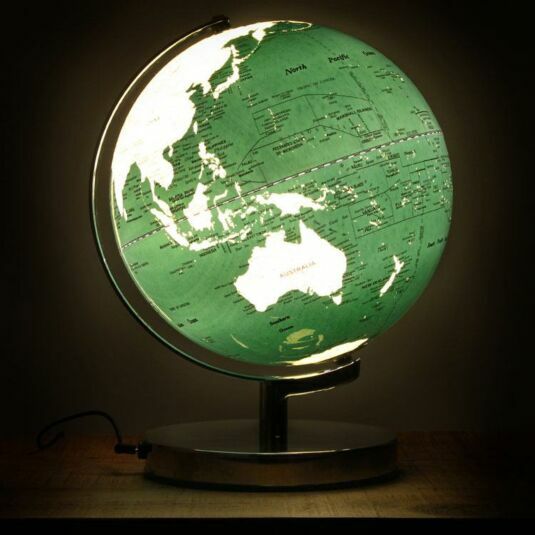 Circumnavigate the earth and illuminate yourself with geographical knowledge using this bold and stylish rotating globe light. 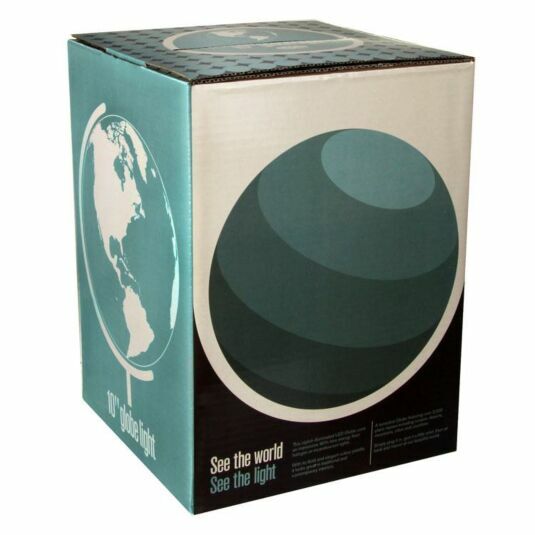 The globe lights up using LED bulbs, and uses an impressive 90% less energy than traditional lights. 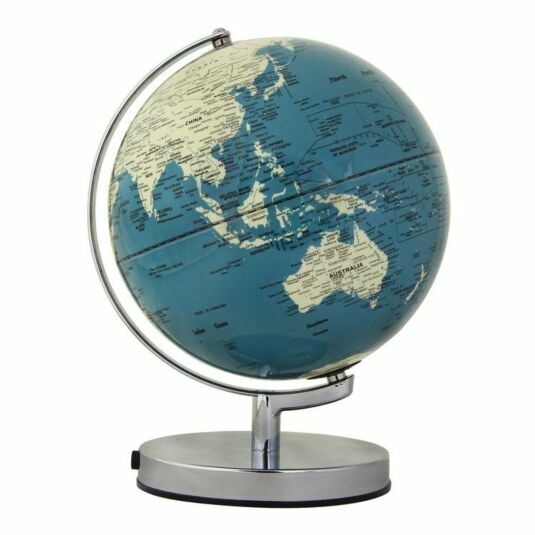 This terrestrial globe features over 2000 places names including cities, deserts, mountains and oceans. Plug it in and give it a spin, and gaze in wonderment at our beautiful world. 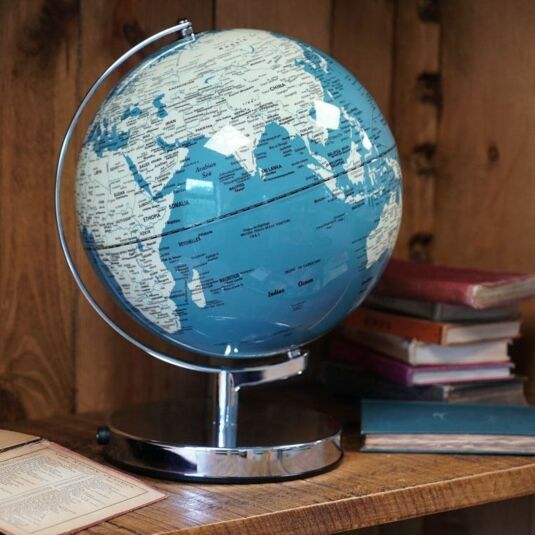 With a sturdy metal base, and its elegant French blue and cream design, this globe light looks great any room, and would make the ideal gift for those of us who love to travel. This item can be powered via a USB connection using the included USB cable, or via your mains plug socket using the included mains plug adapter. This item would make a perfect gift for a birthdays, Christmas, or Father’s Day.